The first picture shows Nadia, the second one Eshana. Rejoice! Nadia is no more! Eshana (Top), a close friend of Italian Oshoite Nadia Mercerini (Above)Living upto Osho’s teaching “Celebrate life! 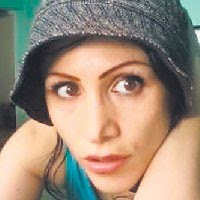 Celebrate death!” and tradition of Osho followers, the friends and associates of Italian Oshoite Nadia Mercerini, who died in the 13/2 German Bakery bombing, came together and ‘celebrated’ her death on Sunday evening. Strange it may sound to many, but Oshoites have a tradition of ‘celebrating’ death. There had been similar ‘celebrations’ when Osho himself passed away. And the tradition comes from Osho’s teachings. Osho had said, “Death is always close by. It is almost like your shadow. You may be aware, you may not be aware, but it follows you from the first moment of your life to the very last moment. He had also said, “And existence gives so abundantly, it is not miserly. You are just not alert enough to use the opportunity to transform yourself into something immortal, eternal, into some experience which will make you beyond the reach of death. Just fearing death is not of any help. “Nadia was on a spiritual path and a diehard Osho follower. That is why we decided to stick to Osho’s teachings and celebrate her death,” says Eshana (50), a close associate of the deceased. Sitting quietly on a bench outside the mortuary of the Sassoon Hospital after seeking Nadia’s body and waiting for the formalities to be completed prior to receiving the body and ncessary for sending her mortal remains to her motherland, Eshana vividly recalled how they ‘celebrated’ Nadia’s death. Eshana remembered,“On Sunday evening, we got together at my house in Koregaon park. We were about 25 people, all close to Nadia. We played the music she loved and danced. This ‘celebration’ went on till late evening.” Clutching a purse gifted to her by Nadia, Eshana says Nadia was a yoga instructor and frequented Pune for the last seven to eight years. Eshana recalled, “Like me she too always wore a smile. That was what attracted us to each other. Just hours before the blast, we had lunch together on Saturday. Then we were discussing about quitting smoking. We parted ways after promising each other to meet again at a function. Our dear friend and astrologer Deepak sent us this lovely piece. We invite you to share your memories of the German Bakery here with us. The German Bakery was my first and second and last home in Pune. It was the first place I stopped when I got there in 1991, and it was the last place I saw when I left Pune for the last time in 2006. It was the first place I went to in the morning to have a cappuccino and a smoke, and it was the last place at night I stayed until those early closing hours to have a cappuccino and a smoke. I usually sat around on the side where the sound of traffic was less than it was in the front. The place was full of sannyasins in maroon robes in those early days, and that is where I got my introduction into sannyasin ways. I remember one crowded day when I asked a swami to pass me that stool next to him. He looked over at it, looked at me, looked at the stool again, and said, “Sorry man, but I don’t feel like it”. “Wow, you can do things like that?” I thought. Another time I walked in and saw a Westerner in street clothes talking on his cell phone. It was the first cell phone I had ever seen. The idea of talking on a cell phone in the midst of India in the middle of meditators was so incongruous to me that I just burst out laughing. He saw me laughing and smiled. Another time my Italian girlfriend and I were standing out in the middle of the street in front and having argument number one thousand and fifty five. The street was still unpaved in those days, and North Main Road had no traffic after dark. She yells, and I yell, and we yell together in two languages, and she stomps her little feet and storms off to Yogi Park. I turn around and go into German Bakery to have a cappuccino and a smoke. I remember the little store next door where I had another expansion in consciousness. In America, customers stand in line, and then when the clerk is finished with one customer, the next customer steps up over the line. One at a time, one at a time. At this little store, all the customers would be talking to the clerk at the same time. With one hand he was giving change, with another hand he was reaching for an item on the shelves, and with the third hand he was taking money from another person. “Wow, polyphasic parallel processing,” I thought as I saw him multitasking simultaneously. I spent thousands of hours chatting, talking, smoking, drinking cappuccinos, and eating Berliners at German Bakery. I met wise men that were older than me and could teach me things in some ways, Narendra in the morning and Purnananda in the afternoon. I met friends and lovers and strangers and newcomers and old sannyasins and ashram exiles. People were from all over the world, and ten different languages would be going on. It was a mind-expanding and heart-opening space to be. I lived in Popular Heights for a long time, and it was on the way and easy to stop. I stopped there many, many times. The German Bakery was a home to me, and now it has been blown up and is gone. My own home where I grew up as a little boy is now an empty lot. My grandmother’s house where I would stop after school and have a piece of chocolate cake is now an empty lot. So many people I have loved and have been my guides and teachers are gone. All of this life has been maya, transitory, and shifting dreams. The wise men were right. The only place to go is to go In. We are shocked to hear that the Germany Bakery, a popular hang-out spot near the Osho Resort in Pune, was bombed on Saturday, 7:30 pm local time. Below an article from the online BBC. Pune, known as the cultural and educational capital of the western Indian state of Maharashtra, is in shock at the bombing of the German Bakery. 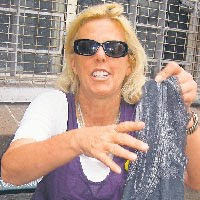 The restaurant is popular with students and tourists and was crowded when one of the waiters opened an unattended bag to see who it belonged to. The following explosion destroyed the restaurant and the outdoor seating area, although the building above was left standing. Santosh Bhosale: "The bakery is like our home"
"When I heard the blast it was like a earthquake tremor," said Santosh Bhosale, a shopkeeper who was nearby at the time. "We ran to see what happened and saw bodies lying. I didn't think twice and I started to help people to take the injured to hospital. "I knew the staff members of the bakery. We all have been here for years together now and are extremely fond of each other. This bakery is like our home," he said. Initial reports of a second bag containing explosives have been discounted. 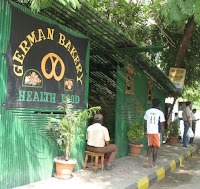 The German Bakery is in a plush, upmarket area of Pune, close to the Osho Ashram and the Jewish Chabad House. There was a heavy police presence at the three Pune hospitals where the injured - most of them between 25-30 years old - were taken. At Jehangir Hospital students gathered in anxious clusters to ask after their friends. Thirteen of the injured were taken here. Two were later discharged after being treated for minor injuries. "My friend Aditya Mehtra was admitted," said Yogesh, an engineering student. "Students are always around the German Bakery - especially on a Saturday evening. We never felt anything in Pune but now it will change," he said. He was told his friend was in the intensive care unit in a stable condition. The government has offered compensation of about $10,700 (£6,800) for the families of those killed and has said it will pay for the treatment of all those injured. Outside the restaurant, a police constable said until now the citizens of Pune had felt safe and not worried about terror attacks. "One incident is enough to alter the city. Now people will not have peace of mind. How did they manage to attack such a busy place in such an important area? Now after all these deaths it will get difficult. Pune is otherwise a laidback and relaxed city but now one does not know." But local resident Salil Nishte said he thought security around the bakery had recently decreased. "We used to come here for a cappuccino and pastries occasionally. In the last few days I had noticed that security was reduced," he said. "Normally this area is very well protected because of Osho Centre and Chabad House. However, I feel that over years the population of foreigners and important dignitaries has increased, so security should be beefed up adequately at all times so that such incidents do not occur." In the absence of anyone claiming responsibility for the attack, speculation has focused on Indian Mujahiddin, Jamat ud Dawa and Lashkar-e-Taiba. Questions are also being asked about an alert raised for Pune in October. Home Minister Palaniappan Chidambaram has said David Headley, an American facing charges in the US for allegedly scouting targets for the Mumbai attack, had also surveyed Chabad House and Osho Ashram. 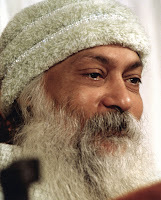 Osho (formerly Bhagwan Shree Rajneesh) teaches meditation not as a practice but as a way of life. He is a mystic who brings the timeless wisdom of the East to bear upon the urgent questions facing men and women today. He speaks of the search for harmony, wholeness, and love that lies at the core of all religious and spiritual traditions, illuminating the essence of Christianity, Hassidism, Buddhism, Sufism, Tantra, Tao, Yoga, and Zen. Osho’s vision is of a new man. History tells of Bodhidharma entering the Emperor’s court with a show on his head or of Japanese Zen Masters planting trees upside down. Such acts can only be understood within the context of the Master’s constant efforts to bring his disciples into the Now, into meditation, and ultimately, to enlightenment. Osho is such a Master. In 1966 Osho left his post as a professor of philosophy at the University of Jabalpur to devote himself to the raising of human consciousness. A powerful and passionate debater, he traveled widely in India, speaking to large audiences and challenging orthodox religious leaders in public debates and began to address gatherings of 50,000 to 100,000 in the open-air maidans of India’s major cities, using the name of Acharya Rajneesh. Four times a year he conducts intense 10-day meditation camps. During these camps he introduced his revolutionary meditation technique, Dynamic Meditation, which begins with a period of uninhibited movement and catharsis, followed by a period of silence and stillness. 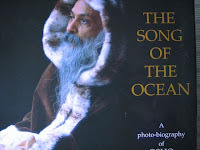 Osho Viha Information Center is proud to supply books, DVDs, MP3s, tapes, CDs, videos, Tarot cards, and other reflections of Osho’s work, to you through our web site http://www.oshoviha.org. 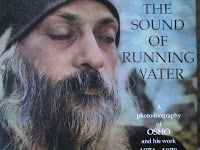 Please contact us at oshoviha@oshoviha.org to find the Osho material you want and contact us. We are always happy to assist you.